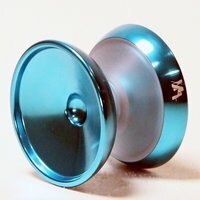 Do you know when Magic YoYo was established? Let us know! From the Yo-Yo Wiki: MagicYoyo Company is a Chinese yo-yo manufacturer started in 2004 as a branch of GT Int Group - TND Toys. They were started in response to the resurgence in popularity of yo-yos. 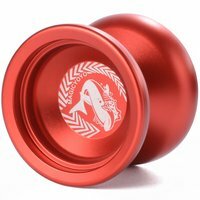 Their stated aim is to introduce many great products at a competitive price point — especially aluminum yo-yos. Recently they have been working on building a team of players for competitions. In 2011, MAGICYOYO Indonesia as MAGICYOYO Official Team started building Team MAGICYOYO. Currently, MagicYoYo has five series of yo-yos, each with a single letter prefix: D, K, M, N and T. In addition to these lines, they also develop standalone and collaborative premium yo-yos such as the 2016 release, Magical by Junliang Tian, and the SKYVA, with Jeffrey Pang.